Personal injury law can cover a wide range of situations, but there are some common factors to each one. If you have been injured and believe that you have a personal injury case, you may be eligible to begin a case and start working towards a settlement. Finding the right personal injury attorney in Miami can be tricky, but it helps to have a good basic understanding of personal injury law in Florida so that you can ask the right questions when meeting with attorneys for an initial consultation. If the situation meets all three criteria, then the injured party is able to move forward with a personal injury case. In some situations, this may begin as negotiations between the injured party and an insurance company. In other cases, it may be litigation brought between two parties as a result of a premise liability, a product defect, medical malpractice, or any other number of situations. A slip and fall injury is known as a premise liability injury. In this instance, the case states that the owner or manager of the property had a responsibility to fix a hazard that they had reasonable cause to be aware of. Medical malpractice legally covers injury that a patient receives due to a breach of the practitioner’s standard of care. This could include things such as incorrect prescriptions, surgical errors, wrongful diagnoses, or many other things. 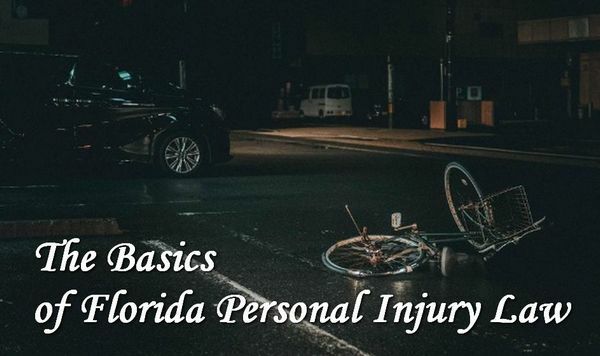 Car, truck, and motorcycle accidents are another common type of personal injury lawsuit in Miami — in these types of cases, there needs to be adequate evidence that the defendant acted negligently to cause the accident, which caused financial and physical harm. Florida does not have a “one bite” law, as many other states do, meaning that the owner is liable for the actions of their dog on the first instance of an attack. During a dog bite case, the court will determine a degree of fault for both the owner and the victim, and determine the amount to award based on that number. In a personal injury case, the injured party is seeking financial compensation for their injuries from the defendant. The compensation sought is intended to cover medical bills and lost wages, and may additionally consider the pain and suffering and other intangible effects of the accident. Economic damages cover things like medical bills, lost wages, recovery costs, and other things that have a true dollar value attached to them. Non-economic damages cover things that do not have a true dollar value attached to them, like things such as pain, suffering, loss of enjoyment, and other “non-economic” consequences of an injury. While you are researching personal injury cases, trying to determine what your case is worth, and get a better understanding of possible outcomes, it is important that you recognize that your case will be different from any other case. That is why it is important that you trust the attorney you are working with from the start, as they fight to get you what you deserve.